Fantic Gravel Gran Turismo is the sporty one of the bunch. agile and unstoppable, it offers amazing performance on gravel roads as well as asphalt. keep up your speed and control, thanks to the balanced chassis, 28” tyres, carbon fiber fork, precise 11 speed cassette, and hydraulic disk breaks. The GRAVEL GT is Fantic solution for the serious commuter. The GRAVEL GT is also available with the bigger battery, LONG RUN, with 630Wh. With this bigger battery we have recorded up to 115 miles of range with one charge. It takes 3.5 hours to fully recharge the battery and 2.5 hour to get it up to 80% charge from zero. All Fantic bikes are equipped with a Brose motor, the leader in the industry. Our batteries are BMZ (from Germany) with 2 years warranty.  Put simply, an E-bike is a bicycle that is electrically assisted via a motor that provides power to help push the bike along. You still have to pedal, however when the bicycle senses you are pedaling the motor provides you with plenty of additional assistance. E-bikes can be ridden and enjoyed by any-one aged fourteen and over! Customers come from all walks of life and wildly differing motivations for purchasing an ebike. Whether you want to ditch the car because you are fed up with being stuck in traffic, want a greener form of transport, or to be able to cycles longer distances and enjoy your surroundings then a Fantic bike can definitely meet your needs and many more.